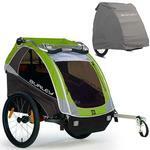 The DLite, Burleys top-of-the-line child trailer, offers sleek functionality and maximizes comfort. 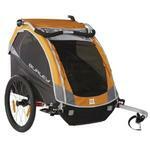 This cutting edge product is ideal for the avid user or occasional cruiser with great taste. 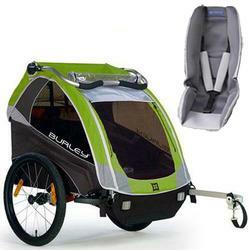 It has seating for one or two children and includes cutting-edge features such as bowed-out sides for enhanced shoulder room, adjustable suspension system, reclining seats, tinted UV protected windows, retractable sunshade, latching system for easy folding, and release buckles for easy removal of the seat for washing or running kid-free errands. 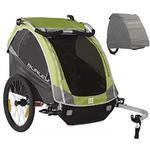 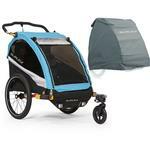 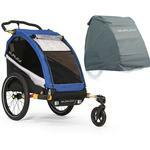 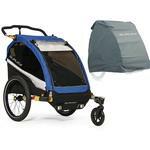 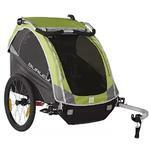 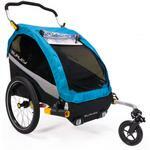 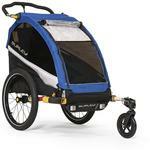 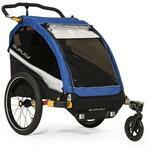 The Baby Snuggler™ keeps your littlest traveler secure when jogging, strolling, or towing behind your bike.